This is an awesome product that graced the roof of our Chameleon House. This was an element that was put on our flat roof to block out water, and serve as a physical buffer between panels and the roof. 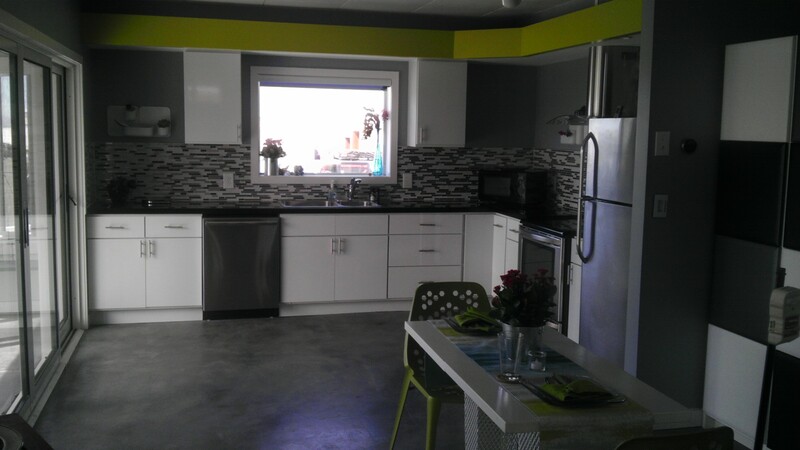 This served as a great staging area for the home in conjunction with the solar panel set up. Another purpose it served well for was to prevent actual leaks and to aid in the movement of water off of the roof. Modified PVC membranes have many advantages that range from being lightweight and easy to manage, to having a very good seam strength. The fact that we have to transport our Chameleon House to California meant that any kind of element on the roof has to have a certain sense of give so to say. The tough, durable, and flexible characteristics are what is required for our Chameleon House. The Modified PVC membrane can restrict movement without having any type of cracking or splitting within the roofing material. 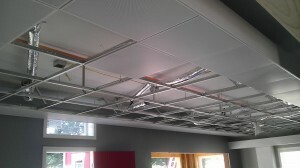 Our roof membrane was a white color, to help reflect sunlight thus adding to the element of passive solar use. The PVC hyload membrane serves a better job of being more efficient verses the alternative black roofs that most homes utilize. The darker roofs add a lot of extra unnecessary heat because the dark color basically absorbs the sunlight and holds a huge build up of heat. Keeping a lighter color on the roof is ideal because solar panels are more efficient at cooler temperatures anyway. Looking at the pictures you can see the students on top of the Hyload PVC membrane and the other picture shows the white membrane overhanging one of the Chameleon House sections. 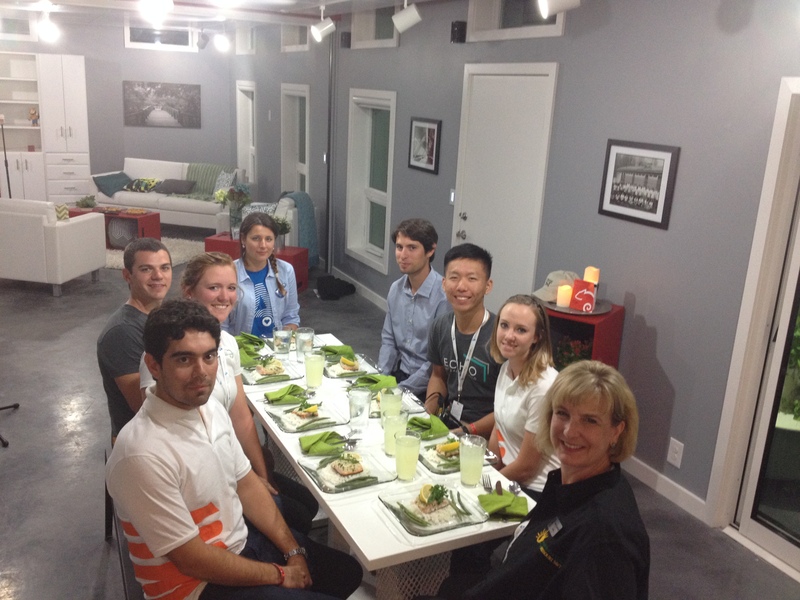 During the solar decathlon we had to host a dinner party for 8. This was a chance to show off our house and at the same time compete. The stove and oven had to be in working order along with having a comfortable sitting room temperature. The display of lights had to be on to better show how our house had a warm ambiance with the perfect placement of light features. 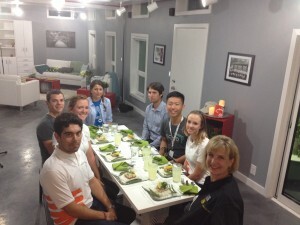 Team members cooked for representatives from other teams and a VIP guest. Our Very Important Person was Chancellor Schrader. She helped us host a very successful dinner made by our own Chameleon House Crew. The fancy menu that was created included tasty treats such as salmon, rice, green beans, and wong- tong appetizers. Peanut-butter chocolate pie was the delicious dessert that many people chowed down on. 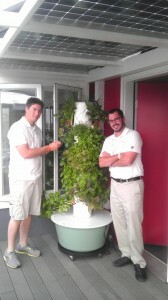 The Solar House chefs included fresh herbal items from our tower garden donated from Missouri S and T alum Paul Sticker. 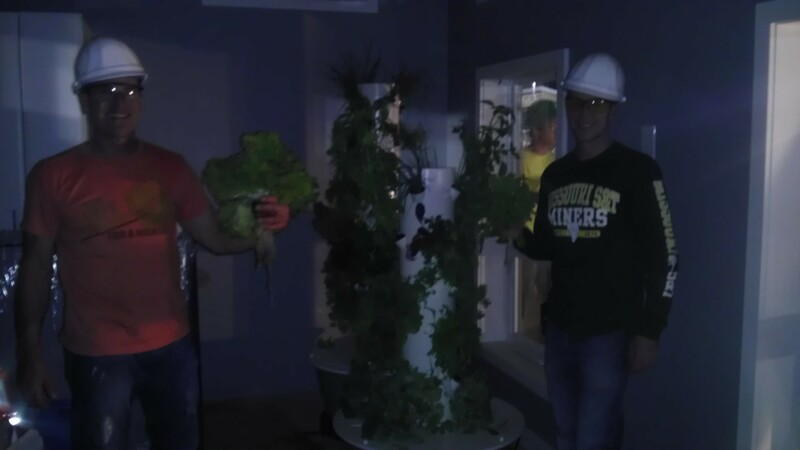 This tower garden was on display through out the Solar Decathlon event and added a homey natural element to our home. Not to mention the variety of herbs added a nice aroma to the house. “Dr.Paul” says that the benefits are all around for this thing and boy do we agree. We used this self-sustaining eco-friendly product and fell in love. 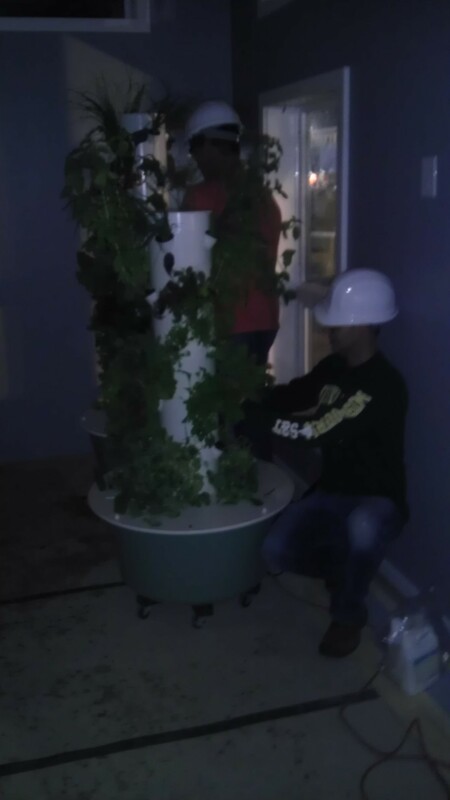 It Uses 90% less water and nutrients than traditional growing. 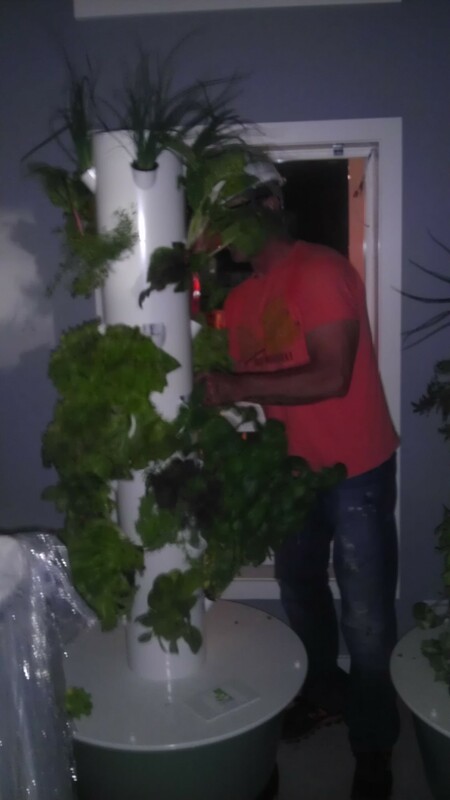 The tower garden is beyond organic and also grows 20 plants in 30 to 50% less time than soil. Water conservation, food safety, land scarcity, and soil deprivation are problems we all face today on a global scale. But with this easy to use tower garden those issues can be met head on. Not only doing your part to make this world a better place but you can personally benefit from the natural foods with the healthy nutrients they provide. To learn more and gain one of these towers for yourself Check out the website www.SoCalUrbanFarms.com please contact Paul at 619-867-2403 or email at SoCalUrbanFarms@gmail.com . To gain more insider tips on farming please feel free to contact our very own Missouri S & T alum. Paul would love to give advice about perhaps making your own herbal garden. You will become a professional chef just like the Solar House team in no time at all with the aid of this herbal garden. Here they are pictured below working those all nighters with the team!!! Thanks alum for the love!!! These herb towers would look great on a porch or solarium. Pictured here are Solar house team members Bobby Folk and Chris Bowe. They are taste testing and tending to the easy to care for garden. We placed a short garden in the sun-room and the pictured one is on the front porch. Above their heads you can see the bi-facial solar panels. The other picture is the table set up for our dinner in the Chameleon House with VIP Chancellor Schrader. 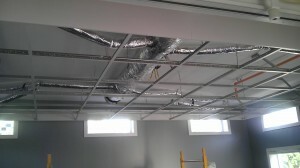 The Unico system® was added into our Chameleon House and I must say that we loved it for the high effective efficiency. The supply and sound attenuator duct is a small duct high velocity system. It mixes air verses slowly permeating like with what happens with a conventional system. 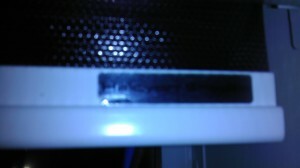 This makes the air flow even faster with a more even temperature through out the home. There is a fast air exchange, with old air for new air being switched out at a rapid pace. The rapid switching of outside and inside air is very important in the fact that we have such a well-engineered house that results with a very air tight home. Another benefit of this product is how it is a fairly silent product overall. The reason for this is that there is the addition of a Unico sound attenuator that gets added to the end of a branch run. The combination of the sound control elements, insulation to prevent condensation from forming and the flexibility of the supply tubing made for an easy to install duct system overall that fits into any space. 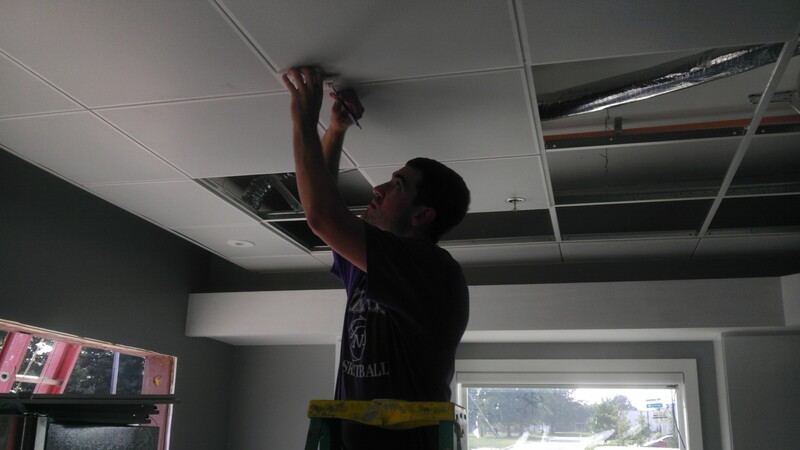 Over traditional HVAC systems this product eliminates drafts and can reduce the relative humidity in an additional thirty percent. Personal experiences from the team say that this is a very easy to install. 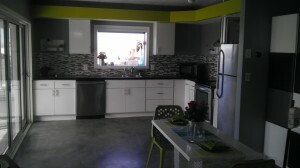 There was great response from the public tours as well during the Solar Decathlon 2013 held out in Irving, California. 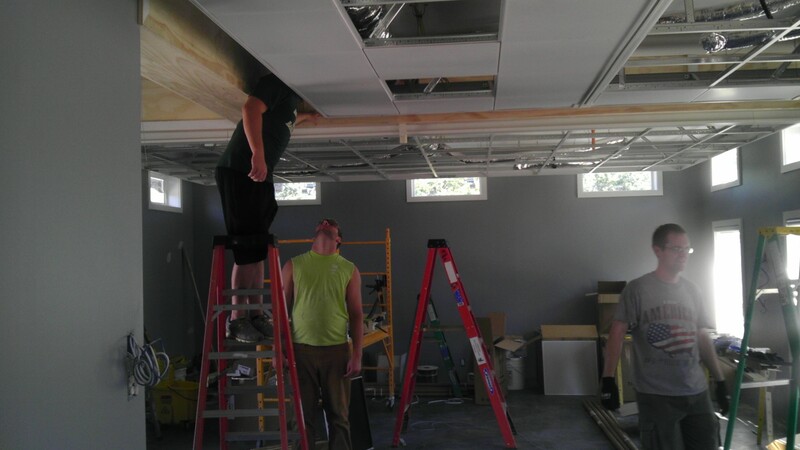 They loved how the team blended the ducts in with our cloud like system that was put in the ceiling to serve as a sound absorber. The public also liked how cool our home felt at the end of the day in the hot California sun. Upon entering the Chameleon House for tours people immediately noticed how along with a combination of our concrete flooring, placing of windows and this small duct high velocity system an overall comfortable living environment could be displayed and felt. 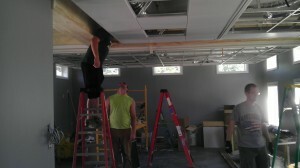 Pictured below is the team installing exit vent outlets and the duct work. The Mylar outer layers of the piping is what can be seen in the background. The U.S. Department of Energy announced on Thursday it has selected 20 universities to participate in the 2013 Solar Decathlon, a competition involving the building of solar houses. Missouri University of Science and Technology was one of the universities chosen. 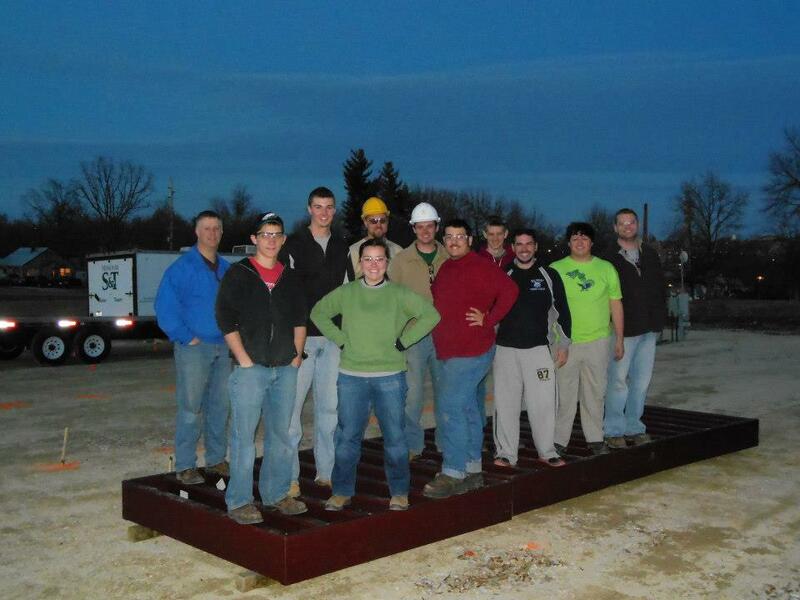 Missouri S&T has built four solar houses for previous competitions, which were all held in Washington, D.C. 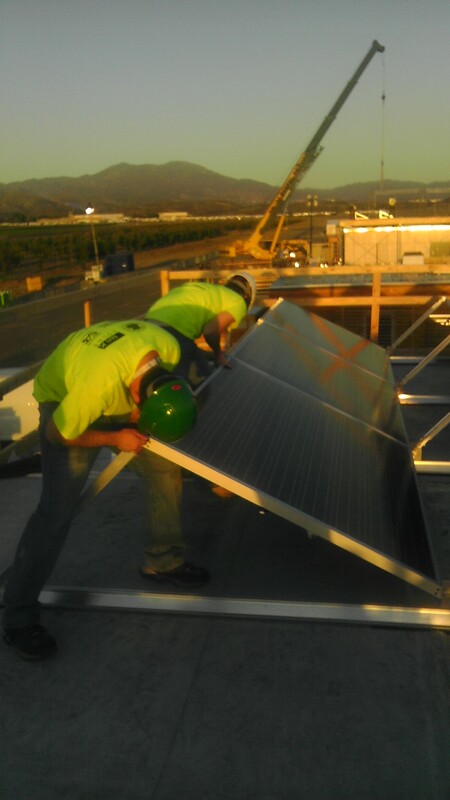 In 2013, the Solar Decathlon will be hosted by the Orange County Great Park in Irvine, Calif. No dates were announced, but the competitions are usually held every two years in the fall. The Missouri S&T Solar House Team is finishing its designs and will begin building their 1,000-square-foot house on campus property this summer. “We are trying to focus on engineering, energy efficiencies and adaptable living – with moveable parts, including a grid wall, adjustable solar panels and transforming furniture,” says Eric Mullis, a sophomore in computer engineering from St. Louis. 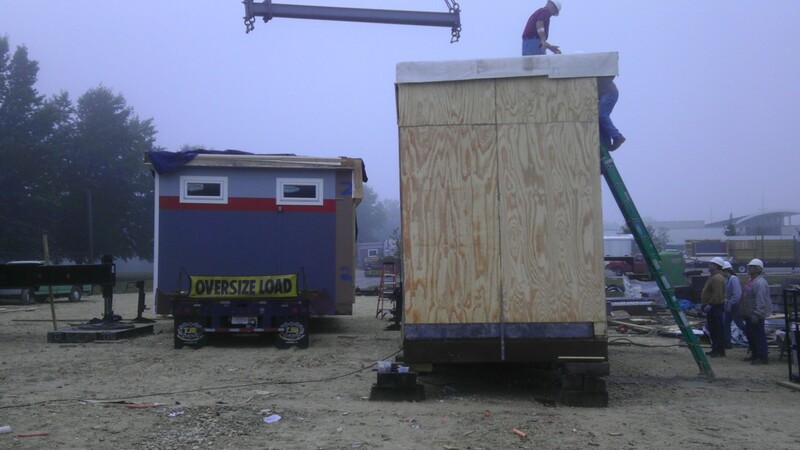 All of the teams must ship their houses (and, of course, solar panels) to the contest site, where they are then reassembled. The houses are evaluated by judges in 10 categories. 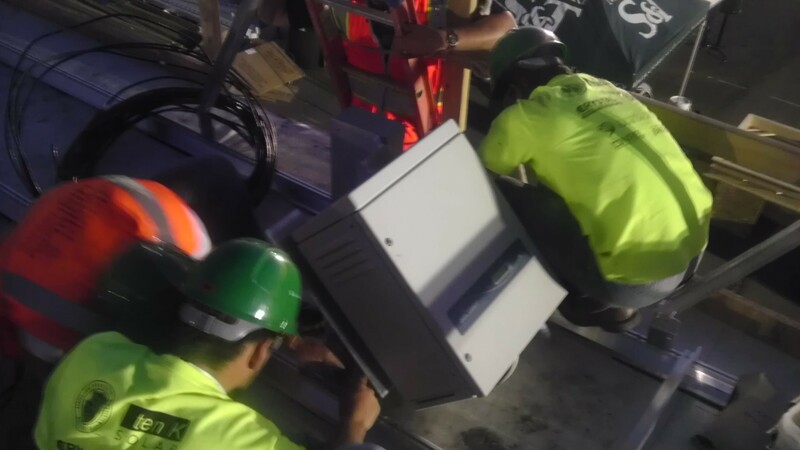 The DOE typically gives grants to the teams selected to cover a chunk of the costs associated with building a solar house and participating in the competitions. The four solar homes S&T has built in the past are now located in S&T’s Solar Village.